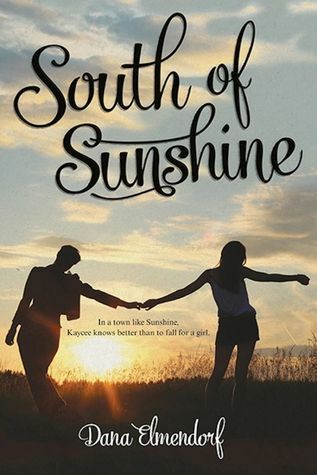 South of Sunshine is a book that dives right into the drama of a teenage girl going into her senior year. Kaycee Jean McCoy is trying to flow with the crowd in her small town where God comes before anyone. In her journey, she strides with the most popular girl in school on her left arm and the most fashionable guy in Tennessee on her right. Things could never have been better until new girl Bren Dawson moves into town. Kaycee is curious and a little obsessed with how Bren acts, looks, feels, and smells; it’s a wild feeling that Kaycee hasn’t experienced before with other guys she’s “liked”. Kaycee’s feelings for Bren become stronger and stronger and it’s harder for her to keep her big secret to herself without the support of others. It’s not until everything is falling apart before Kaycee realizes that she needs to be herself whether others like it or not. This book is an inspiring tale that encourages self-discovery and love with whomever you choose to be with. While reading, you get glimpses of what it is like for a southern girl with different opinions of the world than what she was raised with, absorbing all the cute remarks and adventures Kaycee goes through just to find acceptance with family and friends. It makes you smile, laugh, and cry throughout the book knowing not what comes next. 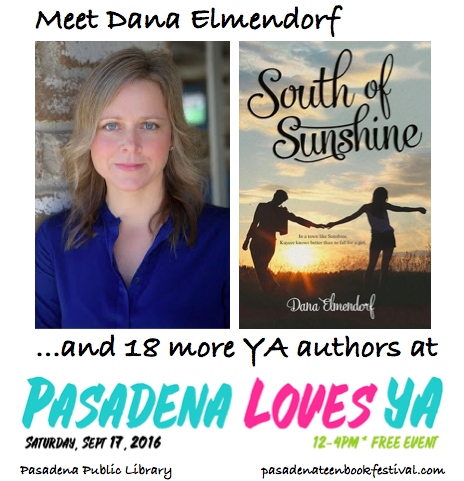 Dana Elmendorf has truly captured true love and beauty in this book. Did you base this book off people you know? No character in SOUTH OF SUNSHINE is based off anyone specific, but there are parts my characters personalities that are inspired by real LGBT friends I grew up with. I wrote this story for them. To tell a story they never got to experience because of their internal struggles or societal constrictions they experienced. What was the hardest part when writing this book? The hardest part of writing this book was putting my main character Kaycee through some really horrible situations. To bring her life to that dark depressing part was a struggle because as a writer you love your characters so much you don’t want them to hurt. But going through painful parts of life and being introspective can make us stronger people on the other side of that pain. As humans it helps us grow. I wanted there to be a significant character growth with Kaycee from the beginning of the book versus the end. To do that, you have to put your characters in tough situations and let them fight their way out. What was going through your head when writing this book? Lots of things. Being sure I wrote true and honest LGBT characters. Making sure I portrayed the unique fun aspects of southern charm along with the ugly negative parts (bigotry, racism and homophobia.) Really nailing that first love, first crush, falling in love feeling. But most importantly, I wanted to tie this all together nicely that ultimately gives girls out there like Kaycee hope. Was there more to this story that got edited down before the final draft? There wasn’t any large chunk of work that got edited down significantly but there were lots of small line edits in the first sixty pages to pick up the pace. Unfortunately there aren’t any cut scenes to share with fans. What is the moral of this book? Or is there a moral? Be true to yourself. Love who you love. At the end of the day you have to live your life for you. Not for your parents or your friends or the people at church. Live a life that will fulfill your hopes and dreams and give you the ultimate happiness.